Workman Publishing Company, 9780761138006, 528pp. Celebrate the world’s most seductive instrument. 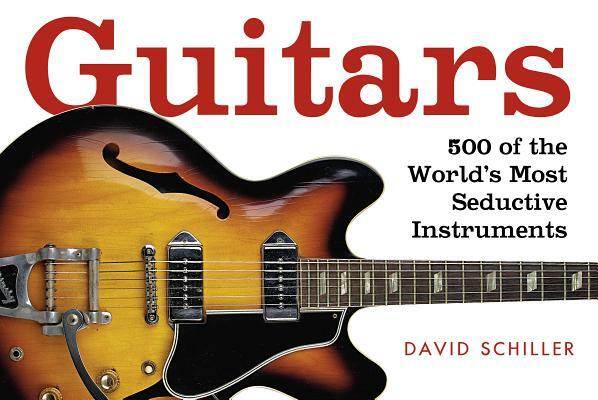 An obsessive, full-color book in the irresistible format of Shoes and Handbags—which together have over 700,000 copies in print—guitarS delivers a feast of 500 guitars in vibrant color, plus players, makers, legends, myths, and more. Here are guitars that made history, that changed the course of music, that inspired new generations of players and listeners. Here are milestones in the guitar's search for its true self—Torres's classical, the amazing Gibson L-5—and experiments that ushered in a new world of sound—Rickenbacker's "Frying Pan" and Les Paul's "Log." Plus B. B. King's Lucille, Willie Nelson's Trigger, Eric Clapton's Brownie, the J-160E that John Lennon played during his 1968 "bed-in" with Yoko, Jimi Hendrix's hand-painted Flying V in full psychedelic regalia. And the far-out Gittler—no body, no neck, no peghead, yet every inch a guitar. Also here are profiles of famous builders, including C. F. Martin, Orville Gibson, Leo Fender—the Henry Ford of guitars—and the mad genius Lloyd Loar. And individual luthiers, like Linda Manzer (her Pikasso II has 42 tunable strings), the maverick Ken Parker, and old-world artisan John D'Angelico, staring at skyscrapers from his Lower East Side shop and creating the ultimate art deco masterpiece, "The New Yorker." Marrying visual pleasure with layers of information, Guitars captures the soul, the significance, history, magic, and the raw mojo of this most beloved of instruments.